The first eSports tournament to officially feature FC Barcelona, eFootball.Pro, and which begins next December 2, was presented today in Barcelona, one of the three host cities along with Glasgow and Monaco. The other clubs vying for a place in May’s final are Nantes, AS Monaco, Schalke 04, Glasgow Celtic and Barça’s first opponent Boavista of Portugal. 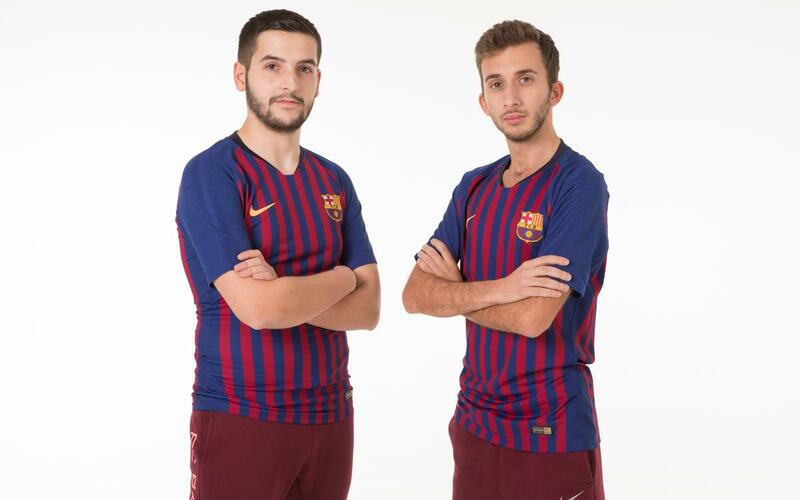 Pau Lara (PaUUU24) and Alex Alguacil (AlexAlguacil) will be defending the blaugrana colours in the competition. Pau is the only Spaniard to ever become world singles champion at Pro Evolution Soccer (PES), while Alex was 2018 world COOP (3 vs 3) champion at PES and 2018 European PES singles champion. So FC Barcelona are in safe hands as they become one of the pioneering clubs by joining a select few in this first edition of the PES2018 league. The competition is being organised by Konami, an FC Barcelona Premium Partner since 2016, and signifies the start of what is hoped to a long and fruitful involvement of FC Barcelona in the booming world of eSports.